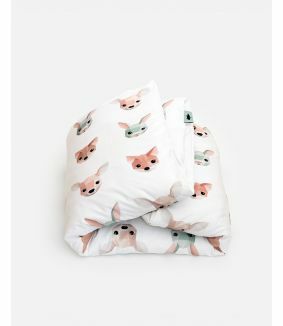 Studio Ditte duvet cover with forest animals. The forest animals of this bedding live deep in the forest. The deer, rabbits and foxes look at you kindly. 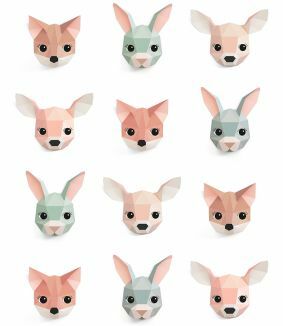 The animal heads with their beautiful soft colors give a warm accent in the children’s room. The print is crisply displayed on a soft cotton. Your child will have wonderful dreams under this beautiful children's bed linen.